Dr. Don N. Parker serves as Chair and Professor of Music (Percussion) at Georgia College and State University. 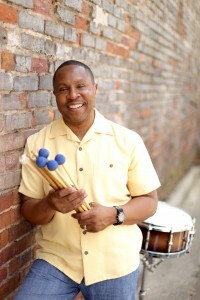 In 2018, Don performed with Three Rivers Percussion Ensemble (All-Collegiate Directors Group) at the North Carolina Day of Percussion and the All-Star Jazz Combo featuring Mr. Ronald Carter (former Director of Jazz Studies at NIU) as a part of first annual Fayetteville State University Jazz Day. He presented a percussion clinic/masterclass and recital with his trumpet/percussion duo, Double Take at The University of Mount Olive, in Mt. Olive, NC. In 2016, he presented a jazz clinic and concert with his jazz vibes/piano duo, Haydon/Parker Duo at Fayetteville State and Claflin University in Orangeburg, SC as part of a album release tour. Don has served as an artist in resident and guest clinician/conductor for a variety of groups and organizations such the River City Drum Corp, the annual Keeper of the Dreams Celebration in Louisville, KY, The HBCU-NBDC All-Star Percussion Ensemble and H.O.P.E. Summer Percussion Camp at the University of Louisville in Kentucky just to name a few. Don has performed with the Fayetteville Jazz Orchestra and Fayetteville Symphony Orchestra since 2003 as a featured soloist and serves as principal percussionist. He also performs with his trumpet/percussion duo, Double Take, which released its second CD in 2008 entitled “Atmospheres” featuring commissioned works and his jazz vibes and piano duo, The Haydon/Parker Duo, which released its second CD in December 2015 entitled “Reunion” available on the ACA Digital recordings/ Albany Record. He was the director for the Summer Music Camps @ FSU.